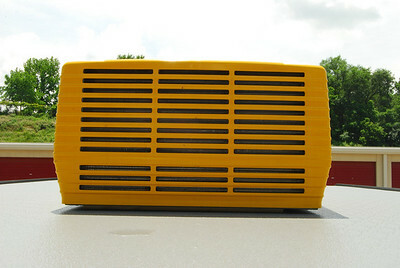 This is my Coleman Mach 3 P.S. 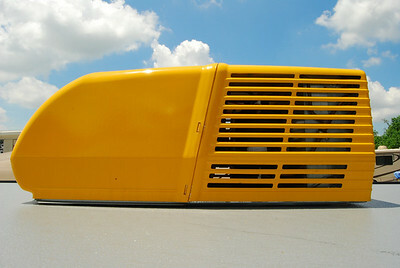 Air conditioner. 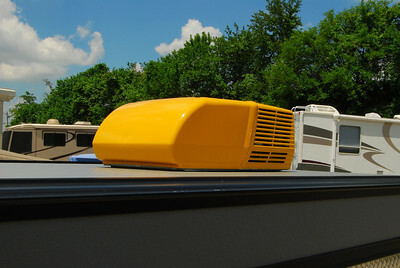 A view of the AC from behind. 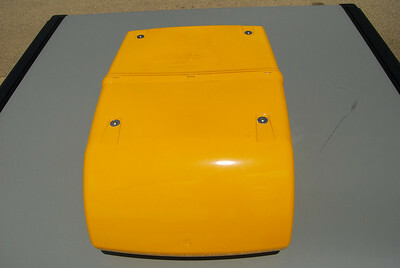 To remove the shroud, loosen the four screws on the top on the unit. The shroud comes in tow parts (a front and a back half). Gentle use a flat screw driver to pry the parts apart in the middle. 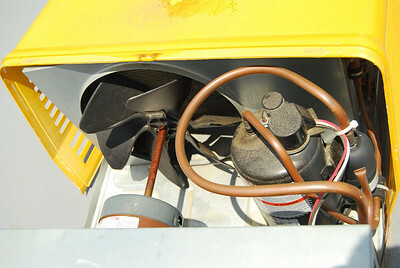 This is the fan and condensor. 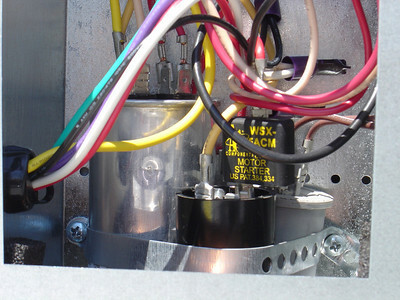 Capacitors associated with the Coleman Air conditioner. The black capacitor in front with the PTCR start device is the Start Capacitor. 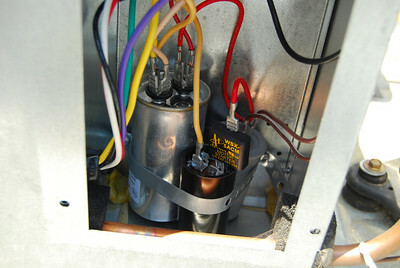 The alumunum one to the left is the Compressor run capacitor. The gray one on the right is the fan Capacitor. Close up of the wires going tt each of the capicators. 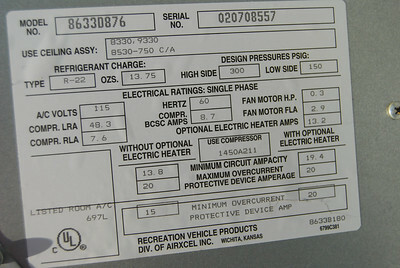 The model number is under the shroud on a sticker that is on the left side towards the front of the AC.